December 28, 2016 April 16, 2017 / Edmund Waldstein, O.Cist. Maurice Baring’s autobiography The Puppet Show of Memory is my favorite book. Of course there are many books that are greater— more profound or illuminating, finer achievements of literary craft; but The Puppet Show of Memory is my favorite (abstracting here of course from the books of Sacred Scripture and others that I read for lectio divina). But why do I love The Puppet Show of Memory so much? St. Thomas teaches us that love is a conformity of the heart to its object, and that its causes are goodness, knowledge, likeness, and (per accidens) passions of the soul that arise from some other love. As far as its goodness goes, I have already admitted that there are better books, so its goodness cannot be the reason why I love it more than other books. Nor can I say that I know it better. Do I find some likeness or affinity between my own soul and Baring’s? I wish. And what other passions of the soul might per accidens cause a love of Maurice Baring? Oh dear. Of course, it is a very good book, even if it isn’t in every respect the best. It is the memoir of a truly lovable man who had a wonderful power for appreciating beauty and nobility. Evelyn Waugh said of Baring’s novel C that it was one cliché after another and that this was “the curse of the polyglot.” In a way the criticism would be even more apt if applied to The Puppet Show, but I think that my defense of C is also even stronger when applied to Puppet Show. Baring did not lazily use other people’s expressions— rather he used expressions that he found to be good expressions of realities that he really deeply felt. Compared to the cynical Waugh there is something embarrassingly sincere about Baring. I remember once when we were reading Racine’s Phèdre in college, I read his extravagant praise of Sarah Bernhardt’s performance in that role to one of my classmates, and she rolled her eyes and said: Jeez la weez! One might apply Maria Bustillos’s term dorkismo to Baring, except that it seems unfitting to use such an ugly word for such nobility of soul. The things that he loved were truly beautiful and noble things. who watched their own earlier ethical principles die along with the deaths of their friends in the trenches in the mass murder of Ypres and the Somme; and who returned determined that nothing was ever going to matter to them again and invented the aesthetic triviality of the nineteen- twenties. Baring’s book is (perhaps not entirely consciously) a deeply felt rejection of that triviality. Things do matter, Baring tells us; beauty and goodness are realities, not false pretense or ideological superstructure. The culture of Europe was not a mere parade and therefore (pace Ford Maddox Ford’s interminable novels) there ought not to be a Parade’s End. I do not think that he wrote his book to prove a point (I certainly didn’t even notice that point the first time that I read it), but the book is about the beauty and nobility and joy and sadness of human life. It is a defense of the nobility of poetry and art and theatre and friendship and festivity, and (frankly) of war. I thought of all the heroes of the past, from the Trojan War onward, and of the words which those who have not fought their country’s battles, but made their country’s songs, have said about these men and their deeds, and I asked myself, Is that all true? Is it true that these things become like the shining pattern on a glorious banner, the captain jewels of a great crown, which is the richest heirloom of nations? Or is all this an illusion? Is war an abominable return to barbarism, the emancipation of the beast in man, the riot of all that is bad, brutal, and hideous; the suspension and destruction of civilisation by its very means and engines; and are those songs and those words which stir our blood merely the dreams of those who have been resolutely secluded from the horrible reality? And then I thought of the sublime courage of Colonel Philemonov, and of the thousands of unknown men who had fought that day in the kowliang, without the remotest notion of the why and wherefore, and I thought that war is to man what motherhood is to woman a burden, a source of untold suffering, and yet a glory. In the same hospital I saw a small child, who had been wounded by a bomb, being bandaged. She was holding a wooden sheep, and was very brave. On the 17th, while I was showing a party of Russians round the Aerodrome, someone casually told me that Raymond Asquith had been killed. “Eἶπέ τις Ἡράκλειτε τεὸν μόρον.” What a waste people said, when they thought of his brilliant brain, his radiant wit, his mastery of language, his solid scholarship, and all his rare gifts. But it wasn’t a waste, and never for one moment did I think so. Raymond’s service at the front was the crown and purpose of his life. A purpose fulfilled to a noble close. He loved being in the Army as much as he had hated being at the Bar. He went on with his life in the Army where he had left it off at Oxford, and he died in a second miraculous spring; and by being in the Army and being what he was, and doing what he did, in the way he did it, he made it a little easier for us to win the war. On October 25th, St. Crispin’s day, the anniversary of the battle of Agincourt, I went to Mass in the cathedral at St. Omer. One could not help thinking that Henry V had heard those very same words spoken in the very same way just before the battle of Agincourt. That battlefield was not an hour’s drive from St. Omer. Now, in the cathedral, French and English soldiers were praying for victory against a common foe. General de Castelnau’s name and exploits need no comment. They will be written, and are already written in gold, in the history of France, and in the Gesta Dei per Francos, as the victor of the Grand Couronné and the restorer of the situation at Verdun. But it is perhaps permissible to say a word or two about his personality. He seemed to belong to a nobler epoch than ours, to be a native of the age of chivalry, of that time when Louis IX, who is known as Saint Louis, dispensed justice under a spreading oak-tree. He had the easy familiarity, the slight play of kindly irony, the little ripple of humour, the keen glance, the foresight and forethought, that politesse du coeur, that complete remoteness from what is common, mean, base, self- seeking, which are the foundation and substance of God’s gentlemen. His white hair, his keen eyes, his features, which looked as if they had been cut by a master-hand out of a fine block of granite, radiated goodness and courage and cheerfulness, a salt-like sense, and a twinkling humour. And his smile went straight to your heart, and made you feel at home, comfortable, easy and happy. When one had luncheon with him and the orderly said luncheon was ready he used to say : “A cheval, Messieurs,” and throughout his conversation there was always a rippling current of good-humoured, delicate and keen chaff. To hear him talk was like reading, was to breathe the atmosphere in which classic French was born, racy, natural, idiomatic, and utterly free from anything shoddy, artificial or pretentious. He was salt of the earth, and one felt that if Burke had met him he would have torn up his dirge on the death of the Age of Chivalry, for there it was alive and enjoying life and making others enjoy it. Perhaps certain things are most visible when the are on the wane; die Eule der Minerva beginnt erst mit der einbrechenden Dämmerung ihren Flug, and all that sort of thing. Baring’s soul was bathed in the last beams setting sun, but it surely curious that he did not see that the victory for which he was fighting hastened the coming of the dark. He was the most completely unselfish man I have ever met: a compound of loyalty and generosity and a gay and keen interest in everything life has to offer. Not long ago I heard a little boy of eight years old asked if he knew what the word gentleman meant. He said, “Yes, of course.” On being pressed for a definition he said: “A gentleman is a man who loves God very much and has beautiful manners.” This definition exactly fitted B.K. Judging both from his own works and from the remembrances of those who knew him, that definition also fitted Maurice Baring. I would be curious to learn your own historical view on the Great War and its meaning. Through my reading, I have gradually become more and more convinced of a basically Chestertonian view of the War: that Prussian militarism did represent an un-Christian aberration and needed to be defeated, and that the victory of the Allies did at least prevent a far worse outcome. But I would be interested to hear your own opinions. If I may ask you (I know your comment is addressed to Pater Edmund), how would you say that the Allies prevent a “far worse outcome”? Worse than the rise of Nazism, than the destruction of the last remnant of Catholic Christendom? Worse than the creation of the power vacuum which lead to the Soviet annexation of half of Europe, and the bloodbath of the Serbian Nationalist state? It is a great question as to why Chesterton, the great defender of the common man against the evil of big business, was blind to the fact that the war was driven by the big arms industry amid other big businesses as well. The US even entered the war to protect the economic investments it made in the UK and France. Maybe it shows just how powerful and effective the UK’s war propaganda machine was, that even a brilliant mind like Chesterton fell for it. Certainly, no one is in any doubt that the war was a disaster for Europe, whose ancient civilization it wrecked beyond all repair, and for the generation of men it sent to their deaths. It certainly would have been better if it had not happened at all. And few should be in any doubt that the Versailles peace settlement, driven by the awful President Wilson, was a disaster, and largely undid whatever positive good could have come out of the war. But that’s not really the question of the war itself, only its consequences. My impression, based on Chesterton, my own reading, and on my acquaintance with an Italian historian friend, is that the German leadership was almost entirely captured by racialist, evolutionist, and Imperialist ideologies. 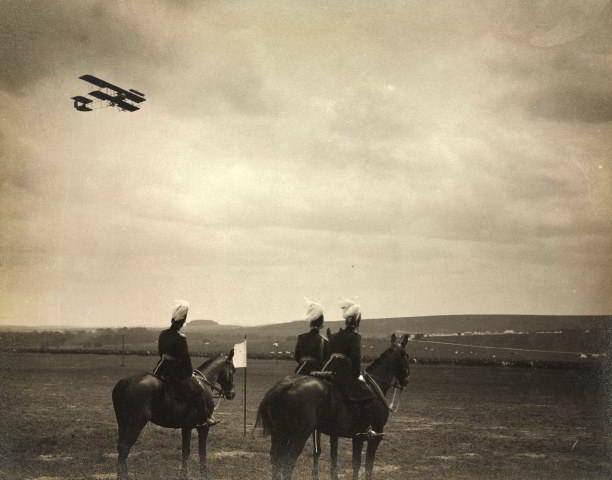 Prussian Germany had already committed its first genocide at this point against the Herero people in Africa, and the evidence seems to be pretty overwhelming that the German High Command was perfectly aware of the Armenian Genocide of the Ottomans, and did nothing to prevent it–based, as it seems, on a significant degree of sympathy with the Turks’ aims. German atrocities in Belgium were quite real, even if exaggerated by war propaganda; and so on and so forth. All of this is not to say that the Allies were clear on these accounts; certainly, Imperialism and racialism were not merely German sins, but rather the defining aspects of the period. But it does seem clear to me that a German victory over the Allies would have been a victory for these ideologies, and would have dramatically intensified them. That they continued in existence, and ended up breaking out again in even more fervent fashion in Germany itself does not take away from this. It is also not to deny the doomed heroism of the Austrian Empire, which did stand, to a degree, for an older ideal of Europe and Christendom. But Austria was not the driving force behind the war; its forces were no match for the new world or the new kind of war, and it is clear that it would have been Prussia, not Austria, which would have benefited from any victory. A Europe dominated by a Prussian and racialized German Empire, with France and Belgium violently occupied and England impotent, is something that it seems quite reasonable to fight to prevent. Still, this is an area where my reading has been quite limited, and my judgments are quite open to modification based on the evidence. My question is quite genuine. It is a mistake to see Chesterton’s opinions on the Great War as a mere product of the propaganda of the time. This is not the case: Chesterton’s antipathy to Prussia and Germanism far preceded the war, and was based much more on his experience growing up in England during the Victorian period, when Germany and England were strong allies, Germany was seen as the most advanced nation in the world, and the racial ideologies of “Teutonism” and the inevitable dominance of Germanic Protestant nations over inferior Catholic Latins was the by-word of the day. Chesterton’s views on Germany developed out of his dislike for English Imperialism and militarism, and were already completely mature before the war even broke out. They were not the product of English hyper-nationalism brought on by the war. Much of Chesterton’s actual war propaganda, written consciously to aid the war effort, is rather rabid and over-the-top, to be sure. But Chesterton’s views were actually quite simple and consistent over decades, and not at all easy to dismiss. He saw Prussia as standing for a model of militant organization, Imperial expansion, and racial superiority antithetical to Christendom; that is, he saw the war in ideological terms. His judgment during the war was that unless this ideology was soundly defeated, in such a way that it was undeniable to everyone that Germans were not racially superior and Imperialist ideology was not valid, there would inevitably be another war with Germany fought on the same ideological basis. He was very unhappy with the Treaty of Versailles, and by 1930 was already declaring a future war with Germany, brought on by a German invasion of Poland, a fact of future history. As soon as Nazis came to power, he was quite clear on what they stood for and the inevitability of a war with them. Over time, his views on Germans, and especially on Austria and its Catholic civilization, did significantly moderate: and I don’t want to defend all of his stereotypical statements on Germans and Prussians and the like. But I find it hard to dismiss the cogency of his account–and his ability to predict WWII already in 1916, and by the mid 1930s to predict the Ribbentrov Pact and the Soviet-German alliance against Poland, is rather extraordinary by any standards. That does not mean his analysis is correct, but it does at least deserve to be taken seriously on its own terms. It is certainly possible that a German victory would have led to the consequences that Chesterton feared. The murder of the Herero people in Africa was certainly a great crime. But it is nevertheless an exaggeration to say that “the German leadership was almost entirely captured by racialist, evolutionist, and Imperialist ideologies”. The German leadership was composed of manny different parties with different views of things. The Imperial chancellor Theobald von Bethmann Hollweg was no racial ideologue. And the German military establishment included many conservative Protestants, who saw Germany’s mission as the preservation of Christendom against the liberalism of the English and the anticlerical, nihilistic hedonism of the French. The Catholic bishops in Germany saw the war as an opportunity for strengthening the Catholic position. Of course we cannot know what would have happened had the Schlieffen Plan come off, and Germany won a swift victory. Maybe the English propagandists would have been proven right. We do, however, know what happened when Germany lost, and events proved the German propagandists right almost to the letter. The mixture of English commercialist capitalism with the licentious morality of Parisian intellectuals is a pretty good description of “civilization” as we know it today. Chesterton was also deeply influenced by the death of his brother Cecil in 1918 due to the war, although I think much of what he (especially in 1914) writes is under the unhealthy influence of Belloc (whose idol Cardinal Richelieu in the words of Belloc “saved the Northern Germanies from their Southern superiors,” that is, freed Prussia from the Catholic Empire). “Prussianism” is indeed an ideology dangerous to Christendom, but it must be remembered that it was formed under the influx of French Huguenots into Prussia in the late 17th century. The so-called Second “Reich” was itself somewhat infected by “racialist, evolutionist ideology,” yet all the Allied victory accomplished was to remove any moderating influences, and give this ideology free reign not only in a geopolitically strengthen Germany, but in the fragments of Austria. The hypocrisy of the Allied powers is evident in the fact that the French government retreated its soldiers from the German border before any sign of German mobilization, the fact that Germany never signed the Declaration of Belgian Neutrality and that said declaration contained a “secret clause about the fortresses [that] actually permitted occupation of the Belgian fortresses by a large power other than France” (cf. The Menace of the Herd by Erik von Kuehnelt-Leddihn), that the Allied occupation of Greece had even less legal standing, and of course Italy’s treachery against the Central powers in the course of the war. I suggest you ask your Italian historian friend about the South Tirol, where the House of Savoy continued the policy of minor genocide so unsuccessful for them in the former Kingdom of Two Sicilies. It is very hard not to see this kind of hypocrisy sadly even in the great Chesterton, when he first refused to believe the sincerity of Emperor Karl’s peace proposals, then rejects them because it contain a proposition “giving back” Alsace-Lorraine to France. Chesterton says rather that France should win back what is “rightfully its own” at the expense of peace! Lorraine never rightfully belonged to France, but was successively annexed in the exact form of “Imperial expansion” which you rightly denounce (Chesterton later recognized that the House of Hapsburg-Lorraine was indeed the rightful sovereign over that territory) . In short I am convinced that the spirit of Prussianism had already quite infected much more of the Allied Powers than the last stand of Old Prussia had ever been infected. I am glad we are able to have this very important discussion. Yours in the Truth, THR. There is certainly a noble cause in fighting dangerous pagan nationalisms which Chesterton did condemn. The problem is that the nation states of France and the UK hardly represented the Christiandom that Chesterton said they were to counter the nationalism. Both states were heavily inflicted with nationalism themselves! As the events following the war have shown, WWI did nothing to stop a “dangerous” growing Germany, rather it was a sad fight fight for pure power. There is also the fact that Pope Benedict XV clearly did not think the war was worth fighting and worked endlessly to bring about peace between both sides. So I just don’t see Chesterton being right here. I very much appreciate all your comments. As I said, this is an area of history which I don’t know in great detail, but which I’m always eager to learn more about: unfortunately, my graduate studies in topics a few thousand years prior to this don’t seem likely to permit too much of that in the near future. But I increasingly feel that understanding WWI is of crucial importance for understanding our own contemporary world, especially with the Great War’s hundredth anniversary underway and Islam and destructive nationalism once more on the rise everywhere. I sometimes feel that if we could understand the Great War, we would understand just about everything. Certainly, though, the war ended up a tragedy by any standards. England and France were The Allied victory, whatever promise it showed, did not achieve the ends which it could and should have, due to the circumstances of the war and the wretchedness and hypocrisy of the Versailles drafters: as you point out, it ended up paradoxically strengthening the more radical and “Prussianist” elements in Germany while removing Austria as a moderating influence and leaving Germany in an extremely strong position, with the Soviet Union in charge of Eastern Europe; this was obviously to everyone’s great loss. 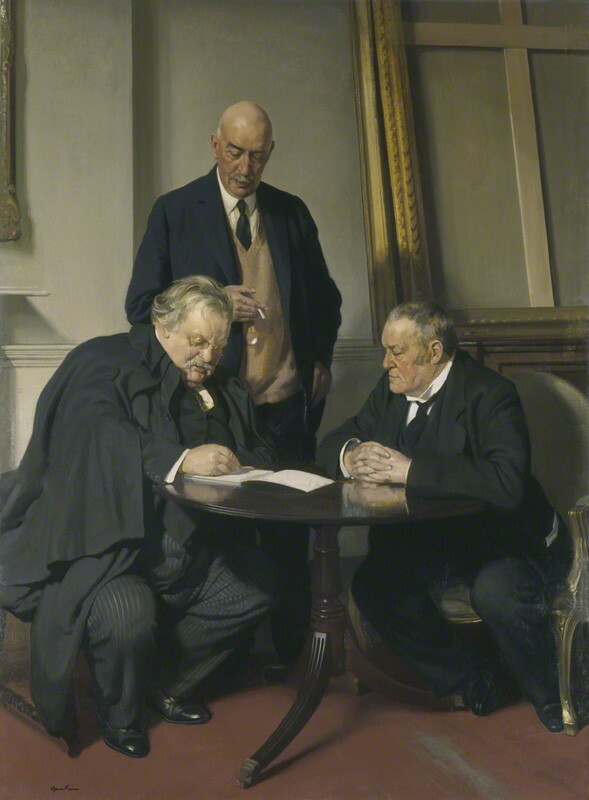 This was to a large extent the opposite of what Chesterton had hoped for, which is that a visible and undeniable defeat of Germany would lead to a discrediting of Prussianism and Imperialism and a reassertion of the more ancient and Christian elements in German and English society alike. He was pleased, though, that the War had at least prevented German hegemony and cemented a long-term Anglo-French alliance, with its potential for greater European unity. The aftermath of WWII would, of course, show an enormous amount of promise in this regards, even if that promise was quickly betrayed by neo-liberalism and secularism once again; so I don’t think it is quite fair to talk as if the triumph of the Allies in WWI immediately or necessarily led to today’s neo-liberal wasteland. In any event, your comments all certainly give me a great deal to think about, and to mourn. Most of all, what I take away from this is the tragedy of nationalism, dividing unnaturally so many people and parties who could, together, have worked a great deal of good for Christendom. Truth and heresy have no nationality. I think this is something we will all have cause to remember in the days ahead. I’m thankful for your comments too, Captain. You’ve helped me understand Chesterton’s position better. Chesterton and Belloc’s writings on the War are indeed appalling, yet unlike Belloc, Chesterton saw that his writings were somewhat in error during the rise of Nazism. “There was something faintly pagan in his attitude regarding war.”: There is a problem hidden in this affirmation which is not sufficiently brought to light. (And this in spite of the many delights of reading this article–Geez la Wheez– about this figure I was not even aware of.) “A gentleman is a man who loves God very much and has beautiful manners” There is something about that definition that I don’t like. I believe that the love of God is the ur-force that creates every true gentleman. But should God be brought into the definition of a gentleman? That definition suggests that it is impossible that non-believing gentlemen, and yet that is contrary to fact. I would, on the other hand, hold that a gentleman does indeed have beautiful manners, and that this defines him, but this definition seems to affirm that the love of God and the beautiful manners are in a merely fortuitous way combined, which makes of the beautiful manners something like exterior polish. The connection between the love of God and the beautiful manners needs to be established, and thus the definition leaves me unsatisfied as saying too much and saying too little. I have loved Maurice Baring since I stumbled upon the Memoir written about him by his cousin Lady Lovat. I am so pleased to find that you love him too, and thank you for your reflections. It is a wonderful kinship to find, as CS Lewis said, “Ah, I’m not the only one,” in this case, who loves this noble and generous and dear Maurice B! I haven’t read all of Belloc’s books (considering the number that he wrote, I’m not sure anyone since Belloc has), but I have read his book on Richelieu, and I don’t think it’s fair to him to call the Cardinal his “idol” or to insinuate that he thought the breaking away of northern Germany from the Catholic Faith was a good thing. Quite the contrary. Belloc argues that Richelieu is a man of genius with serious flaws, and that one of the greatest is his placing of national advantage for France before the good of Christendom as a whole. I’ve only read a little of Baring, but this post makes me want to read more. If anyone is interested in another modern man that took chivalry seriously, I’d suggest checking out Kenelm Digby. I apologize, but I still don’t see where in the quote you cite, the idea that Belloc thought the separation of northern Germany from Christendom was a good thing. My take on the passage based upon my reading of Belloc’s work is that the great tragedy of division in Europe is that Protestantism in the “outer regions” would have shriveled and died if it hadn’t been supported by Catholic rules in the geographical core of Catholic Europe. Richelieu supported protestant northern Germany because he put France ahead of Christendom. Phillip II did the same by enabling Elizabeth to gain the throne and consolidate her power up until his eventual break with her. Europe and the Faith is one that I haven’t read yet, and hope to in the future. If you happen to be in Western Pennsylvania you’re welcome to stop by and borrow my copy of Richelieu. God bless and keep up the great work on your blog as well. Thank you for your offer, and I’ll keep your comments in mind next time I read Belloc’s historical works. God bless.